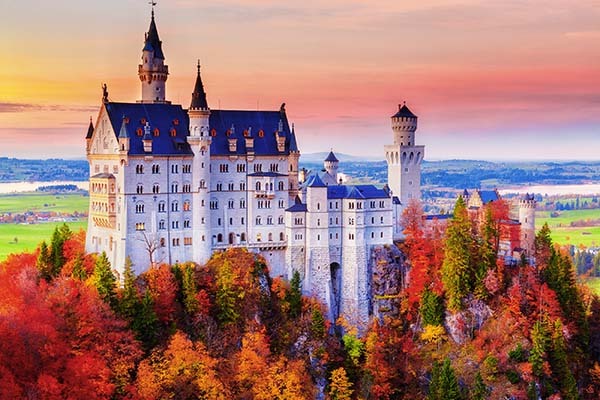 The fairytale castle Neuschwanstein is one of the most visited sights in Germany. 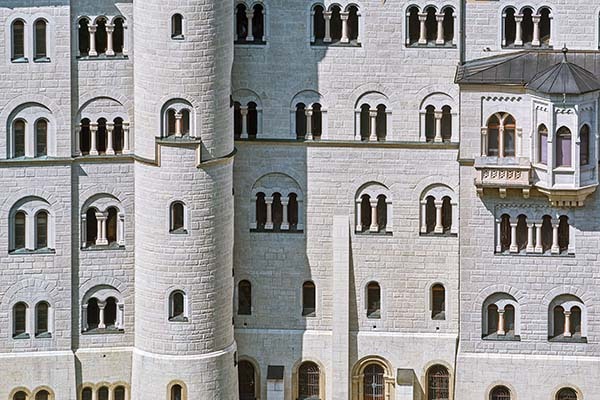 The castle in Hohenschwangau (Bavaria) was built by order of King Ludwig II. 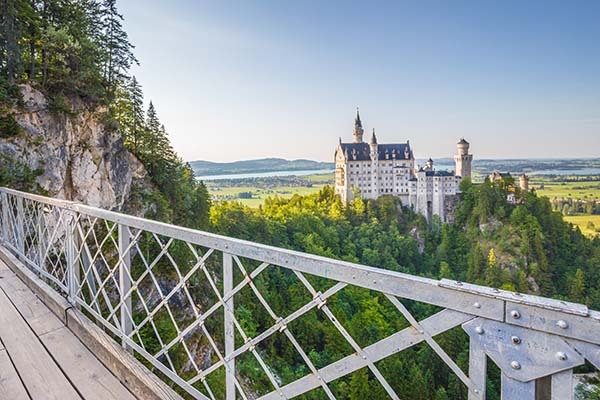 Prepare your visit to Neuschwanstein with these tips for tickets. Wilkommen in Neuschwanstein! Accessibility Parking at the castle is not possible. Read in this article the three options how you can reach the castle. After the tour you can watch on the 2nd floor of the castle a free 'multivision show' about King Ludwig II and the history of the castle. 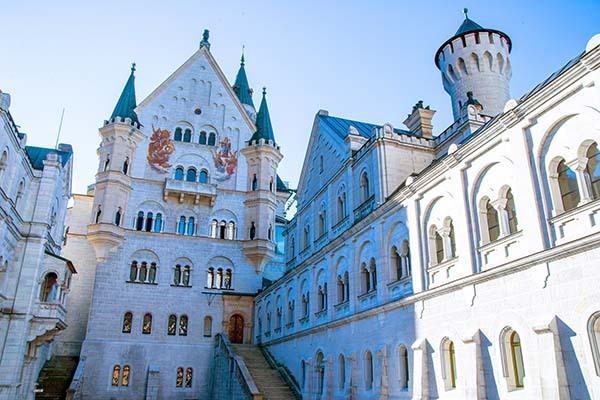 How to buy tickets for Neuschwanstein? At the Ticket Center in Hohenschwangau: tickets are only sold for the same day. Waiting times of 2 to 3 hours are, sadly, more the rule than an exception in the high season (May-October). Because of the capacity of the tours the tickets are usually sold out by lunchtime, so make sure you are in the waiting line early! Online skip-the-line tickets: You can reserve tickets via Ticketbar. This is the only provider of online Skip the Line-Tickets. 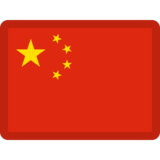 You will avoid the tedious waiting lines. Defenitely recommended if you want to experience a relaxing day at Neuschwanstein. 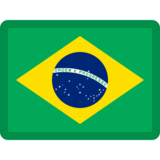 Book Tickets online Make sure that you are strictly on time for the tour (German pünktlichkeit). Backpacks, strollers and baby carriers are not allowed to enter the castle. Leave it in your car or in the baggage lockers. Only small hand luggage is allowed. The fairytale-like castle Neuschwanstein is, with 1.4 million visitors per year, one of the three most visited tourist attractions in Germany. The Disney castle is located in the village of Hohenschwangau in the hills of the green region Allgäu in Bavaria. The construction of the idyllic castle was started in 1869 on behalf of the shy and eccentric King Ludwig II, who had this castle built to escape public life. The walls were made of brick with light-coloured limestone as decoration. After his passing in 1886 the construction was paused and the fairytale castle was opened to the public. Walt Disney visited this castle and used it as inspiration for the castle of Sleeping Beauty in Disneyland. Since the castle was not intended as a royal representation, but for the relaxation of the King, Ludwig II created his own dream world; a poetic world of the Middle Ages. Images were inspired by Wagner's operas and are about love and guilt and about repentance and redemption. Three main figures are frequently repeated: the poet Tannhäuser, the swan knight Logengrin and his father, the Grail King Parsifal. In addition, you will repeatedly see a swan (Schwan) portrayed: symbol of purity and a symbol of the tombs of Schwangau. Both the inside and the outside of the castle will surprise you. The castle has more than 200 rooms, of which only 15 are fully finished. On the lower floors, for example, were the service areas for the staff. During your tour you will mainly visit the third and fourth floor with the King's most important quarters. The second floor was never finished and now contains a shop, cafetaria and multimedia area. You will probably experience one of the nicest views you have ever seen in a castle. 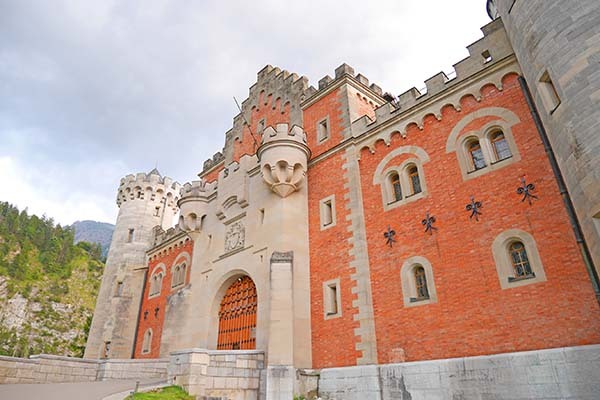 When you are visiting Bavaria, a tour in this beautiful fairytale castle can't be missed. Even the interior of the castle is enchantingly beautiful. Keep in mind that 10,000 visitors want to visit the castle every day in the high season; unfortunately this results in huge waiting times (2 to 3 hours) and in the months of May to October, tickets often sell out before lunchtime. For a relaxed visit we strongly recommend booking tickets online! Tip: Are you visiting the castle by shuttle bus? You will be dropped of at a few minutes away from the Marienbrücke. From this bridge, you have one of the nicest views of the enchanting castle. The bridge is closed in winter. It is absolutely worth stopping for a photo for the rest of the year. During the Middle Ages, two castles were on the site of the castle. This double castle was the place where the lords of Schwangau ruled the region. After the 'Sfagnum' family died out in the 16th century, the area came under the supervision of the 'Wittelsbach' family. King Ludwig II of BavariaLudwig II ('Ludwig Otto Friedrich Wilhelm von Wittelsbach') was born on 25 August 1845 in this family as oldest son of Maximillian II and grew up in the castle of Hohenschwangau. His father bought this neo-Gothic castle and had it rigourously rebuilt. 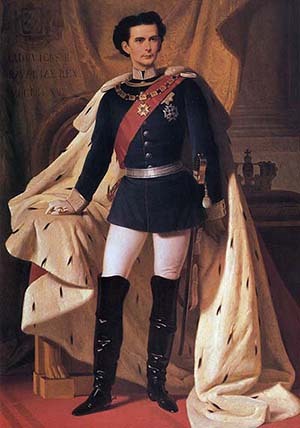 Ludwig II was the king of Bavaria from 1864 - 1886 after his father's sudden death. Ludwig II was pretty shy and retreated more and more often in the Alps and had a great fascination for fairytale castles, as he was a worshiper of myths. 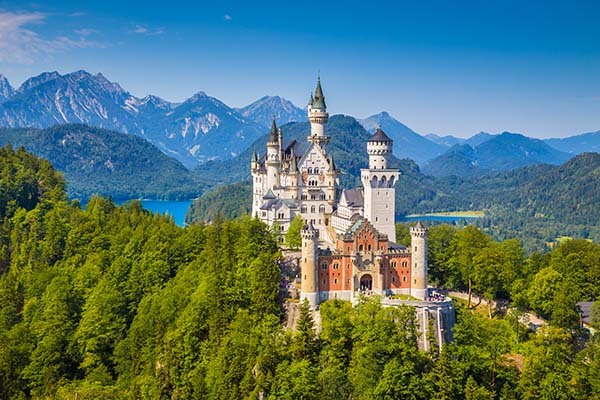 In Bavaria, for example, he had Castle Herrenchiemsee built, a copy of the castle of Versailles and his fairytale ideas formed the basis for the construction of Neuschwanstein Castle. His ideas were further fed by the description of the Middle Age castles in the operas Tannhäuser and Logerin by Richard Wagner. He wanted to turn this castle into a private home to help him bring his Middle Aged fantasies come to life. Ludwig II commissioned designer Cristian Jank to make a design, which was then made real by architect Eduard Riedel. The ruines of the former castles had to be removed for this. The plan was to realise the castle in 3 years after construction started in 1868. During the construction, Ludwig II's buidling plans got bigger and more expensive and so it happened that in 1886, when Ludwig II died, the castle was still not completely finished. From 1884, the castle was inhabitable, but King Ludwig II only lived here for 186 days up to his death. Ludwig II paid for the castle from his own pocket, but in 1886 the debt problems became so great, combined with his 'madness', that the government decided to depose Ludwig II. Three days later he was found dead in the lake of Starnberg. In the years after his death the fairytale castle was opened to the public (partly to pay off the outstanding debts) and it wasn't until 1892 that the last parts of the castle were completed. Nowadays a lot of restoration of the castle is needed, given that the limestone is very sensitive to influences of the climate. The castle is located in the village of Hohenschwangau, a village 3 kilometers from Füssen. Parking near the castle is not possible. In this article you can read how you can reach the castle.